In the U.S. there are currently an estimated 327.6 million active wireless customer connections. This means there are more active broadband tablets, cell phones, and other mobile devices than U.S. citizens. In March of this year, Nielsen, a leading global information and measurement company, proclaimed that smartphones account for half of all mobile phones in the US, and dominate new phone purchases. At TVI 20-30% of visits to our clients sites are coming from mobile devices and nearly 80% of those mobile visitors are using iPhones. As you can tell from the statistics above, now more than ever it is absolutely crucial for businesses of all shapes and sizes to have websites optimized for smartphones and tablets. This means your website fits the screen of smartphones just like a native app does, without requiring the user to zoom in with their fingers. By having a mobile optimized website you are reducing the work a visitor has to do to view your website and allowing them to more easily contact you, buy a product, request more information, make a reservation, order online, etc. Ultimately responsive websites increase the chances that the visitors to your site will become customers. On of the newest and best ways of optimizing your website for mobile devices is by creating a responsive website. Responsive websites change on the fly to fit the device that is viewing them. These types of websites literally shift their size, layout, and design to accommodate the device’s screen, providing a better experience for the site visitor without requiring a second mobile website. 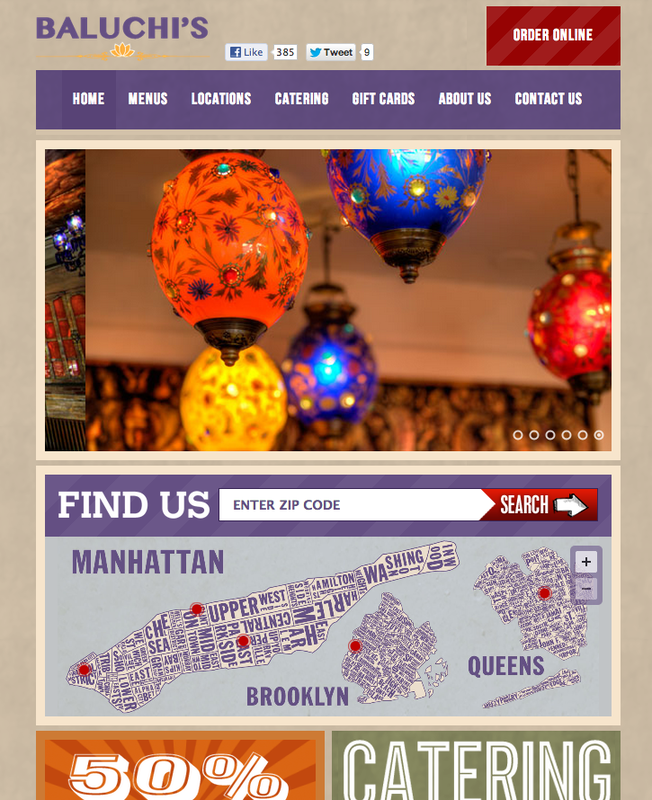 Our favorite example of a responsive website is one we just built for Baluchi’s Indian Restaurant pictured above. To see the site change with the size of your screen, go to Baluchis.com, grab the corner of your web browser with your mouse and drag it across the screen to reduce its size. 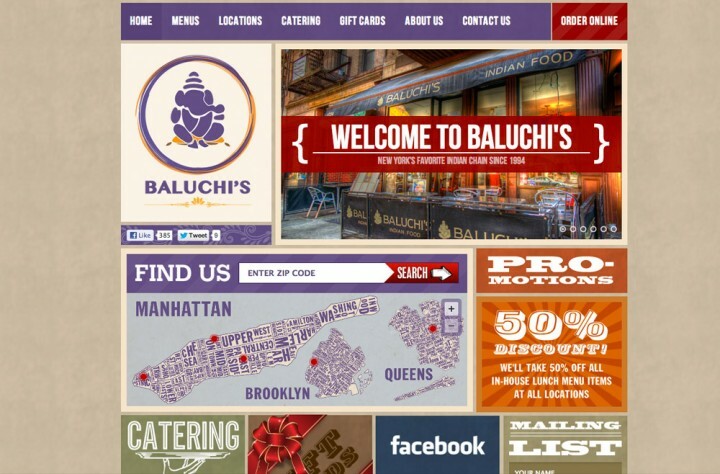 As your browser gets smaller watch as the website changes in size and layout, or even better, pull up the Baluchi’s website on your desktop computer, iPad, and iPhone (or other smartphone) to see how it looks across all these devices. It’s easy to see that responsive websites are the smart way to make your website optimized for mobile devices. The next time you are redesigning your website make sure you look into making your website responsive. We’d love to hear your questions and comments about Responsive Websites. Feel free to join in the conversation by commenting below, emailing us or giving us a call at 212-213-2740.
web site is truly nice and the people are really sharing nice thoughts.